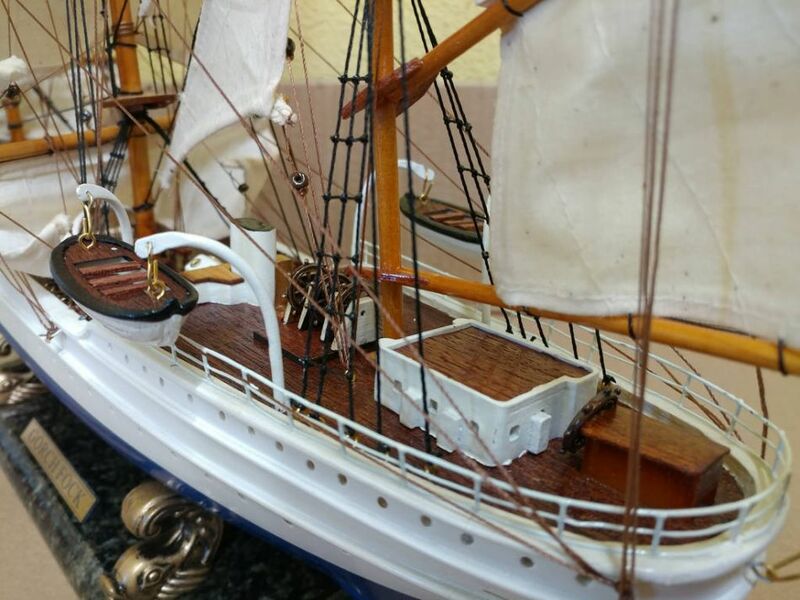 Wooden Gorch Fock Limited Tall Model Ship 28"
This Wooden Gorch Fock Limited Tall Model Ship 28" displays a wealth of detail parallel to that of the famous tall ship that is still currently sailing the seas today. This vessel was originally built in 1933, although along her journey there were major issues with the body and bulkheads of the ship. 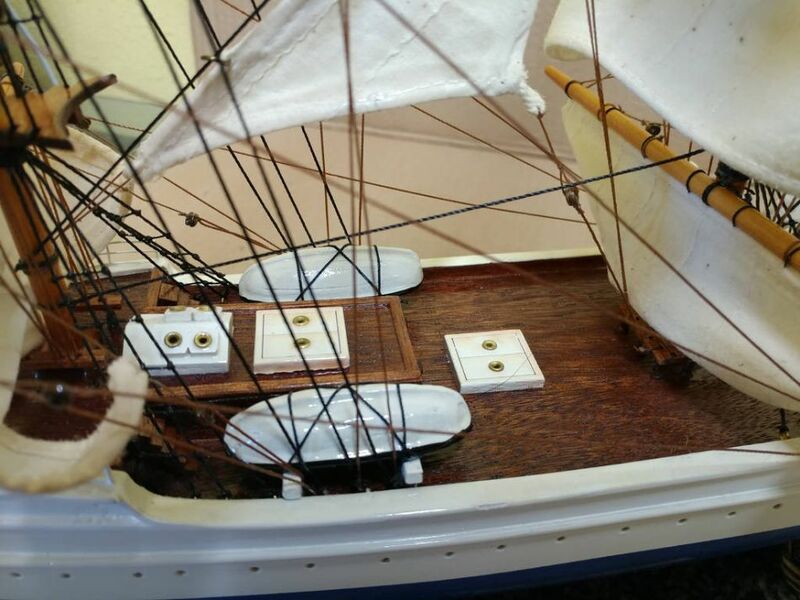 Hence a new ship was built and the new version of the Gorch Folk is used for naval training, and is also an active participant of the annual Tall Ships Races. The loss of the German school ship Segelschulschiff Niobe, a four-masted barque which capsized on July 26, 1932 in the Baltic Sea near Fehmarn, prompted the German Navy to have a new training vessel built. The contract went to the shipyard of Blohm & Voss in Hamburg, where the construction of the new ship began on December 2, 1932. She was completed in only 100 days. On May 3, 1933 the new ship was launched and baptized Gorch Fock in honor of the German writer Johann Kinau who wrote under the pseudonym "Gorch Fock", and died in the 1916 Battle Of Jutland, aboard the cruiser Wiesbaden. 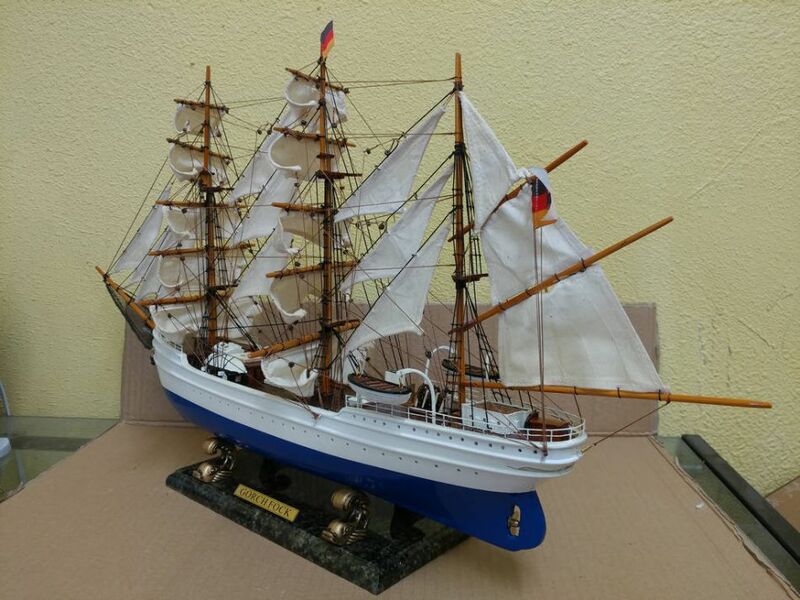 The Gorch Fock, commissioned to the German Navy on June 26, 1933, is a three masted barque: she has square sails on fore and main mast and is gaff rigged on the mizzen. The hull is made of steel and has a sparred length of 82.1 m (270 ft), a width of 12 m (40 ft) and a draught of 5.2 m (17 ft) She has a displacement at full load of 1510 tons. Her main mast stands 41.30 m high above deck and she carries 23 sails totalling 1753 m² (18870 ft²) She is equipped with an auxiliary engine of some 410 kW (550 hp). The ship was designed to be especially robust and safe against capsizing: over 300 tons of steel ballast in the keel give her a righting moment large enough to bring her back in the upright position even when she heels over to nearly 90°. The Gorch Fock served as a training vessel for the German Reichsmarine. During the second World War, she was a stationary office ship in Stralsund, until she was officially reactivated on April 19, 1944. On May 1, 1945, the crew scuttled her in shallow waters off Rügen in an attempt to avoid capture by the Soviet troops who already had shot at her with tanks for 45 minutes. The Soviets ordered Stralsund-based company "B. Staude Schiffsbergung" to raised and salvage her, which after some difficulties was done in 1947 for a cost of 800.000 Reichsmark. She was restored from 1948 to 1950. The ship was newly named Tovarishch ("Comrade" in Russian) in 1951 and put into service as a training vessel again. Her new home port was Odessa. Under the name Tovarishch she participated in many Tall Ships' Races and cruised far and wide on the seven seas. She made a voyage around the world in 1957 and won the Operation Sail race twice, in 1974 and 1976. After the dissolution of the Soviet Union in 1991, the Tovarishch sailed under the Ukrainian flag (home port was then Cherson) until 1993, when she was deactivated due to a lack of funds. In 1995, she sailed for the last time from Cherson to Newcastle-upon-Tyne, where private sponsors wanted to have her repaired. This enterprise failed due to the high costs, and in 1999, the ship was transported to Wilhelmshaven in Germany, where she stayed in dock for four years until she finally was transferred to Stralsund, Germany in 2003. On November 29, 2003 the ship was re-baptized Gorch Fock. Currently, she serves as a museum ship. 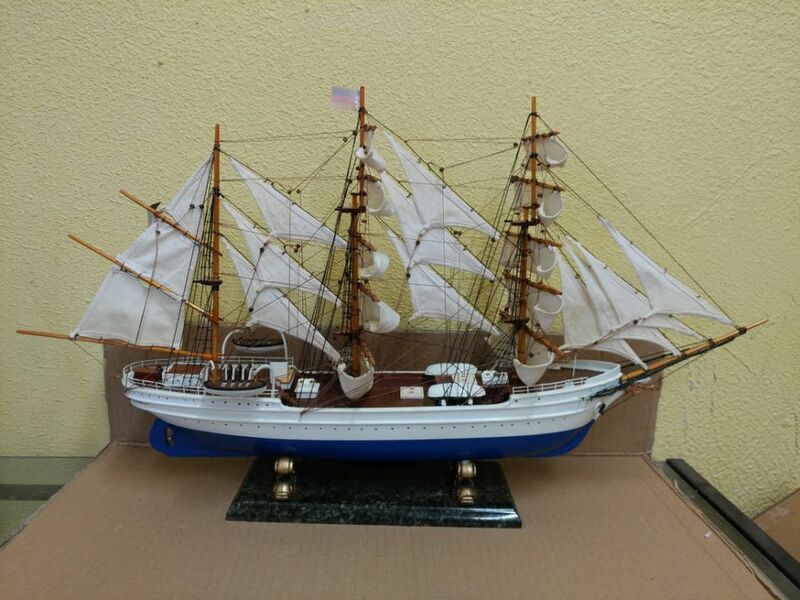 The design of the Gorch Fock proved highly successful. She was the first of a series of five ships built by Blohm & Voss, and a number of South American school ships are also based on the same design. 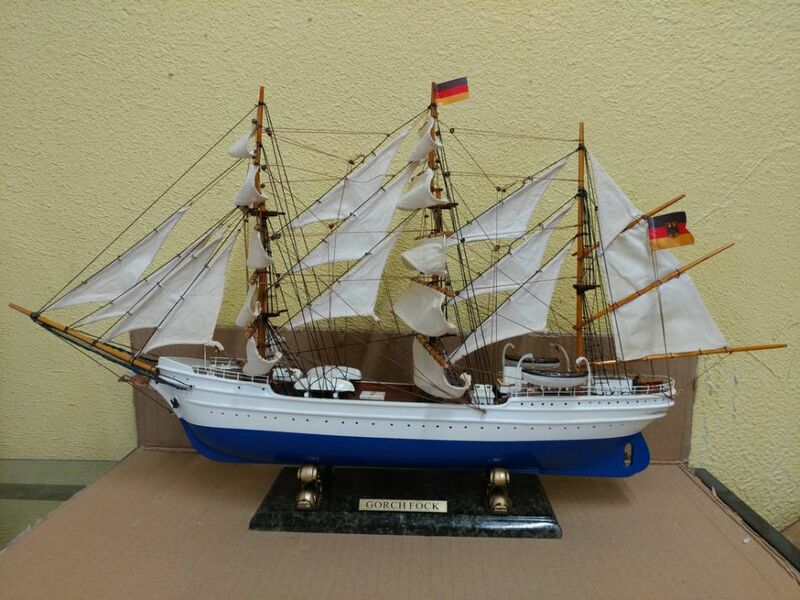 Of the three original sister ships, only the Mircea is an exact replica of the Gorch Fock. The Horst Wessel and the Albert Leo Schlageter are 7 m longer, and all three have somewhat more powerful auxiliary engines. The Horst Wessel was launched in 1936—the growing Reichsmarine needed more school ships. Her home port was Kiel. At the end of World War II, she was assigned to the U.S. After some repairs in Wilhelmshaven and Bremerhaven, she was sailed by her German crew including the Captain together with American sailors to her new home port of New London, Connecticut. Since then, she sails under the name Eagle for the United States Coast Guard. The Albert Leo Schlageter was launched on October 30, 1937. She was confiscated by the United States after World War II, and then given to Brazil, where she sailed as a school ship under the name Guanabara. In 1961, the Portuguese Navy bought her to replace the old school ship Sagres (which was transferred to Hamburg, where she is a museum ship under her original name Rickmer Rickmers). The Portuguese named her accordingly Sagres II. She still sails as of 2006. The Mircea was built by Blohm & Voss for the Romanian Navy. She was launched in 1938 and has always sailed under Romanian flag (except for a short period after WWII, when she was confiscated by the Soviet Union). She is the only of the sister ships that is truly identical to the Gorch Fock. 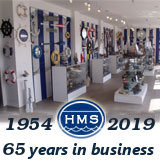 She was overhauled at the Blohm & Voss shipyards in Hamburg in 1966, and she still sails today. Named after the Hitler Youth "martyr" Herbert Norkus, another ship of the Gorch Fock design—with the same dimensions as the Horst Wessel—was begun at the Blohm & Voss shipyard, but the unfinished ship had to be launched prematurely on November 7, 1939 because the slipway had to be cleared to build submarines. The hull stayed in the harbor of Hamburg throughout World War II. It was damaged in a bomb raid in 1945, and instead of being sold to Brazil it ended up being filled with gas grenades and sunk in the Skagerrak in 1947. 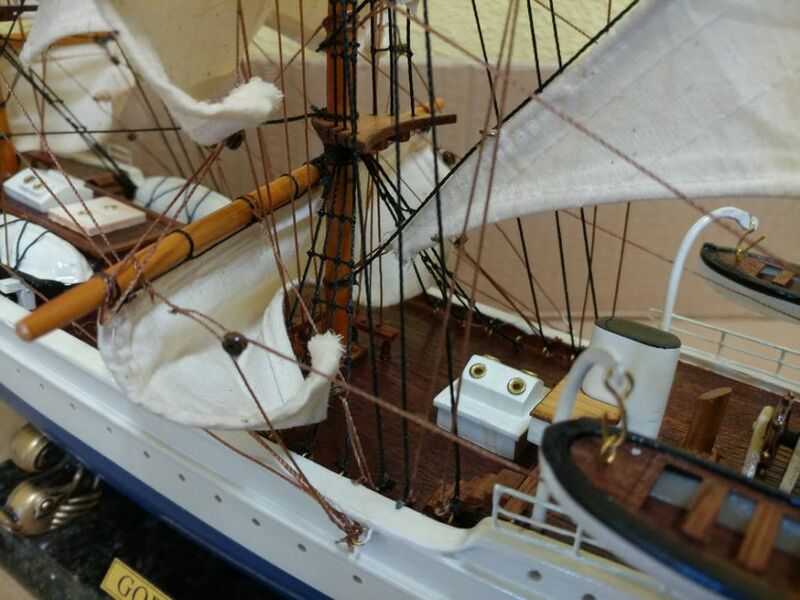 The yards, which had been prepared, but not yet mounted, and the tackle, which had not yet been rigged, were later used for the Gorch Fock built in 1958. 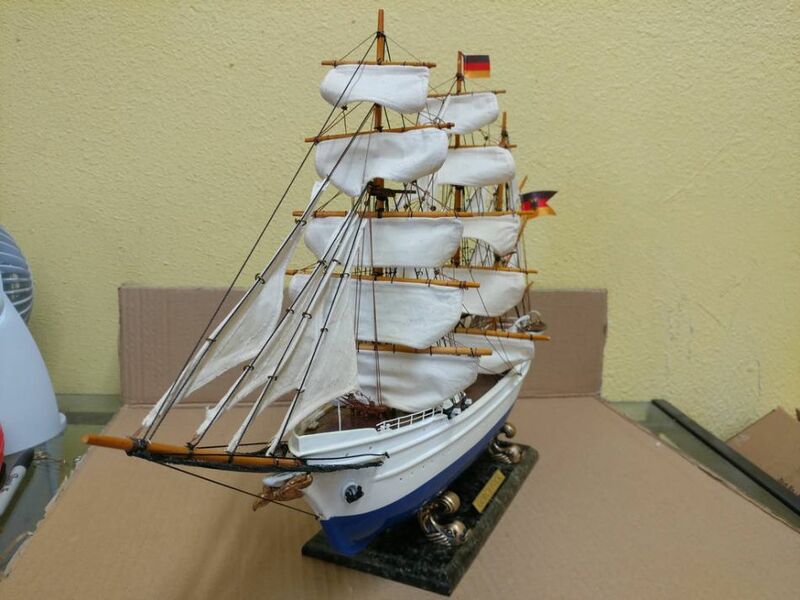 As Germany had lost all its training vessels as war reparations after World War II, the German Bundesmarine decided in 1957 to have a new training vessel built following the old plans for the Gorch Fock. The new ship was a modernized rebuild of the Albert Leo Schlageter. Coincidentally, her design has been influenced by another shipwreck: whereas the 1933 Gorch Fock was built in response to the Niobe disaster, the plans of the SSS Gorch Fock were adapted somewhat after the sinking of the Pamir in 1957. The modern-day SSS Gorch Fock was launched on August 23, 1958 and commissioned on December 17 of that year. A number of similar ships have been built by a shipyard in Bilbao for South American Navies, apparently following the Blohm & Voss design. The hulls and rigging of these ships are very similar, the main differences are in the superstructure and they also have larger tanks for both diesel and water, and they're also longer. 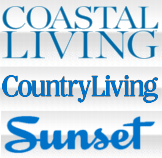 These ships are the Gloria (1967, Colombia), the Guayas (Ecuador, 1976), the Simón Bolívar (Venezuela, 1979), and the Cuauhtémoc (Mexico, 1982).